Everyone has regrets in life. So who wouldn't take the chance to change the past if given the opportunity? When sixteen-year-old Takamiya Naho receives a mysterious letter, claiming to be from her twenty-seven-year-old self, her life is suddenly thrown into flux. The letter tells her that a new transfer student by the name of Naruse Kakeru will be joining her class, and to keep her eye on him. But why? Naho must decide what to make of the letter and its cryptic warning, and what it means not only for her future, but for Kakeru's as well. 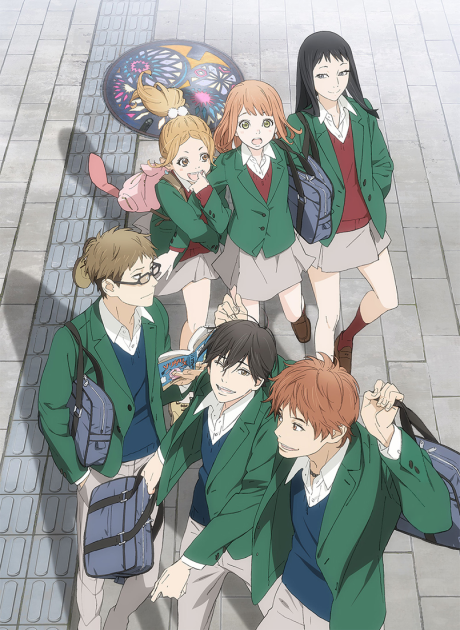 Orange probably won't be the best anime you'll ever watch, but it might just be the most important. If letters to the past could change the future, would I still watch this anime in the future?